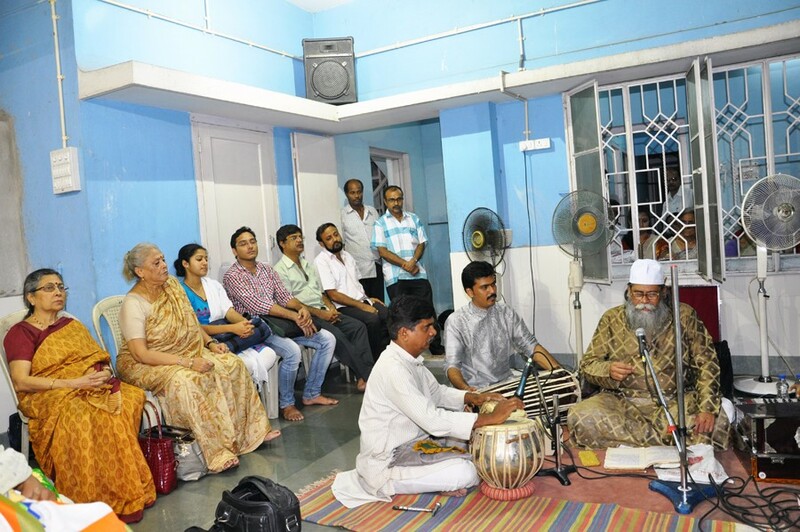 Gurupurnima 2015 A special function was organized on the occasion of Gurupurnima at 6pm on July 31, 2015, Friday at Kalakunj (48, Shakespeare Sarani, Kolkata 7000107). 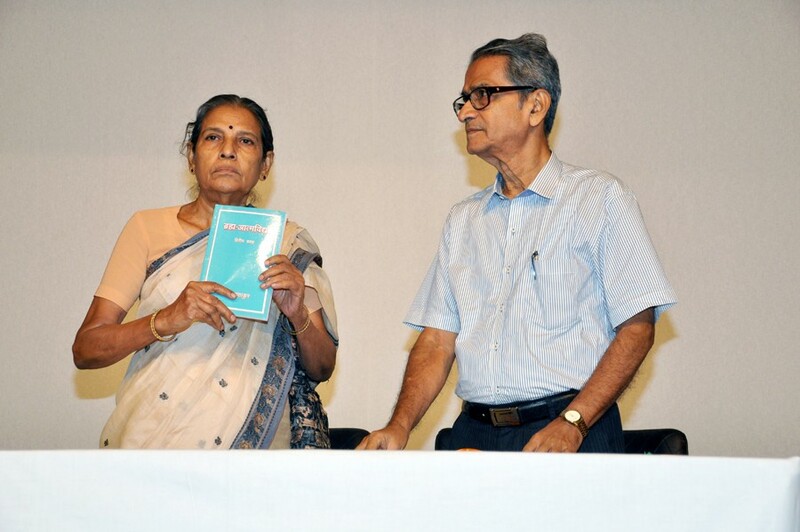 Hindi and Bengali version of Brahma Atma Vidya 2nd part, containing collected 'Pravachans' of the Master and a treatise Atmanusandhan containing two discourses in Hindi of the Master has been released on this occasion by Vedanta Acharya Dr. Bhavani Ganguly. 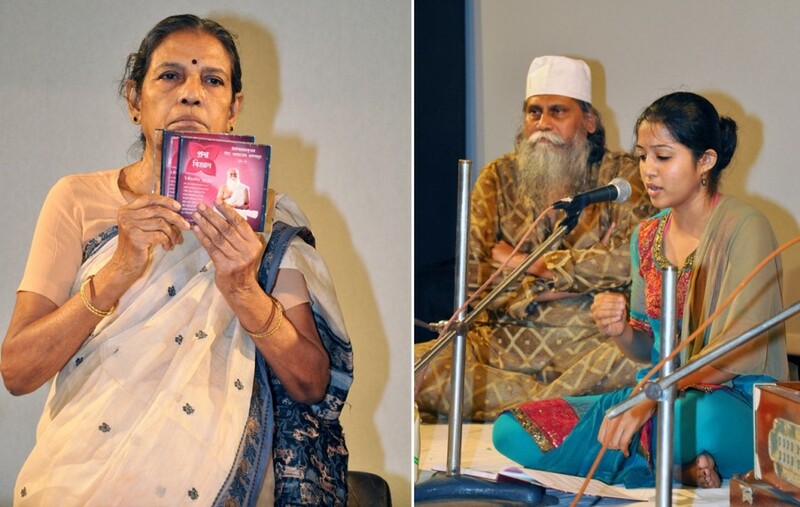 Sri Kedar Narayan Bodas and other devotees have rendered Sri Sri Babathakur’s Revealed Bhajans. 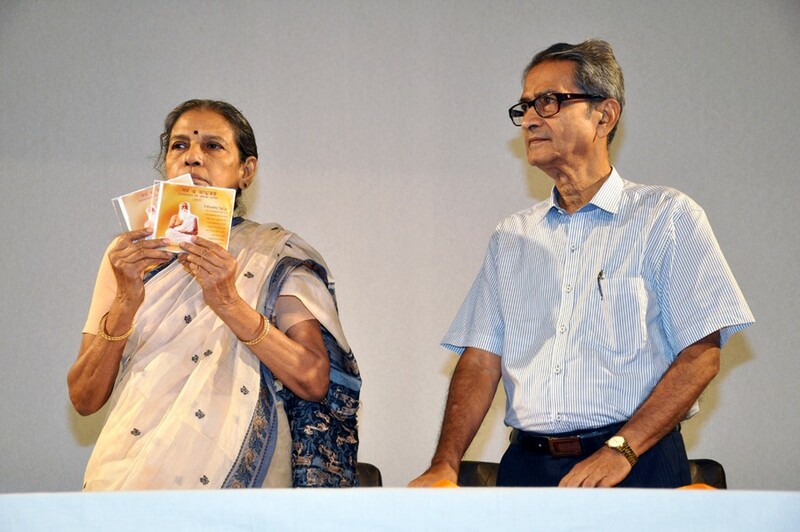 A DVD of the Master’s discourse was screened. 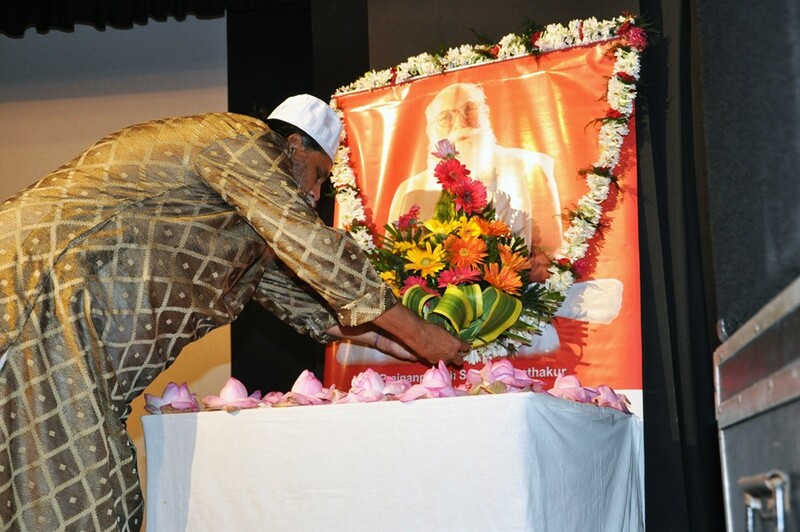 The program was concluded with floral tributes to Sri Sri Gurupaduka by the devotees. 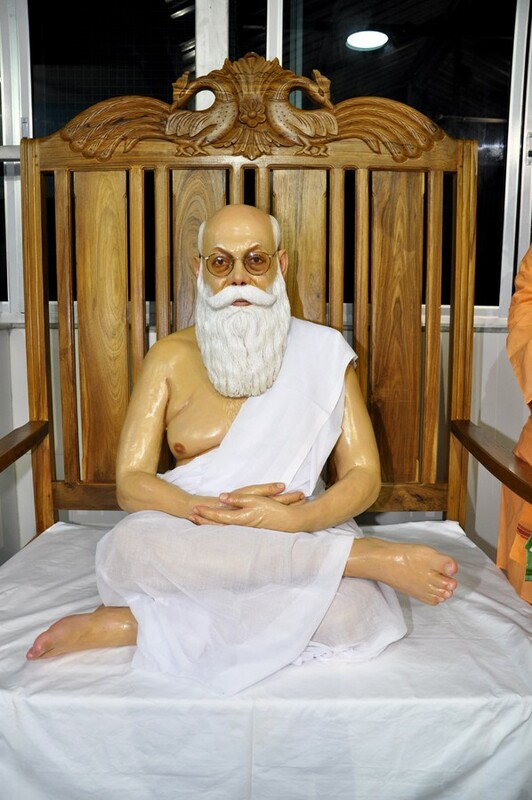 Statue of the Master unveiled at Saccidananda Society, Kolkata A program was held on 30th July 2015 at the society premises on the sacred occasion of installing statue of Prajnanpurush Sri Sri Babathakur. 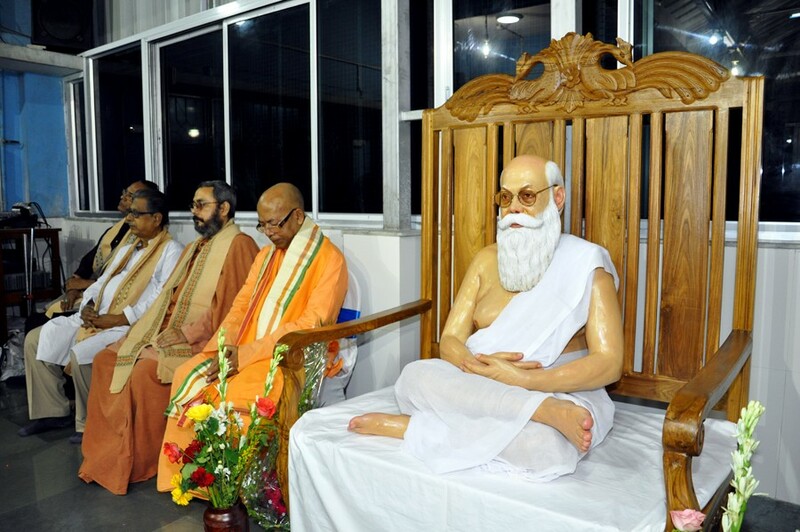 The unveiling of the statue was done by Brahmachari Mural Bhai (General Secretary, Dakshineswar Ramkrishna Sangha Adyapeath). 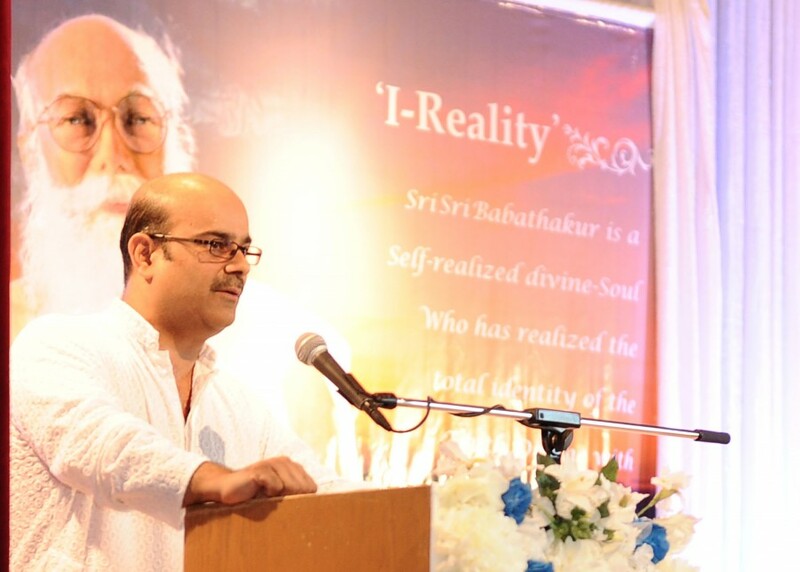 Srimat Mural Bhai, Srimat Kinkar Samananda Maharaj and Dr. Barin Roy spoke on the occasion to pay homage to the All Divine Master Sri Sri Babathakur. 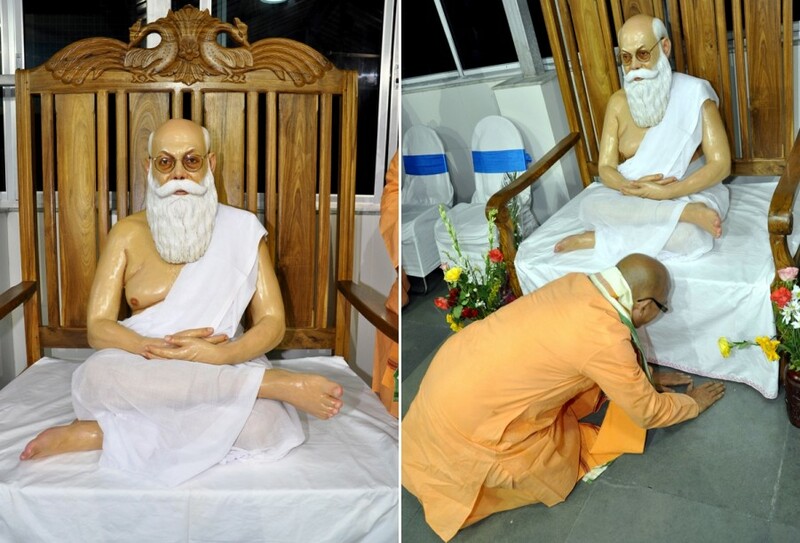 The statue was made by eminent sculptor Shri Shyamal Kr. Dev, who also shared his unique experience on the day. 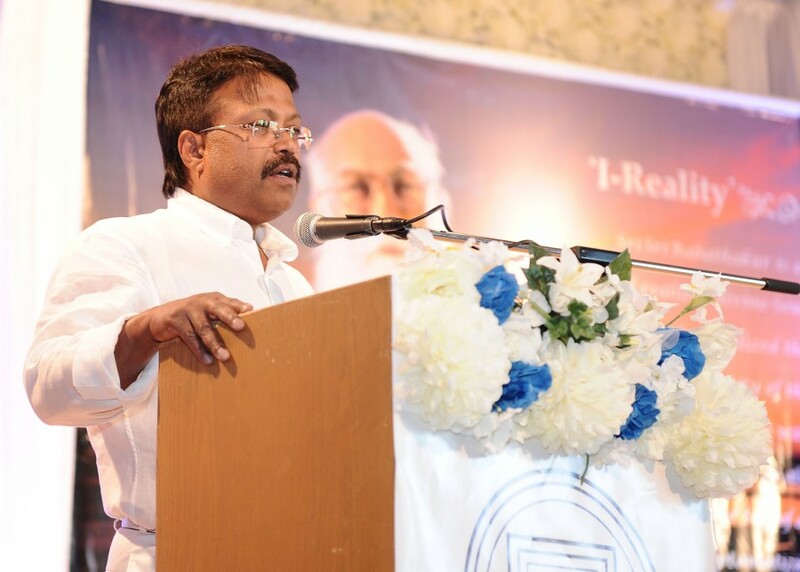 After the speeches, Shri Kedar Narayan Bodas, an ardent devotee of Sri Sri Babathakur, rendered few revealed Bhajans of the Master. 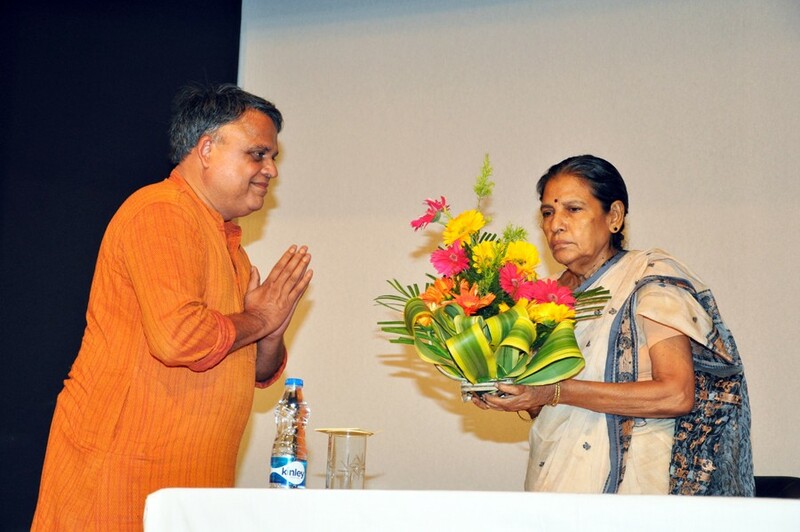 Prasad was served to everyone present. 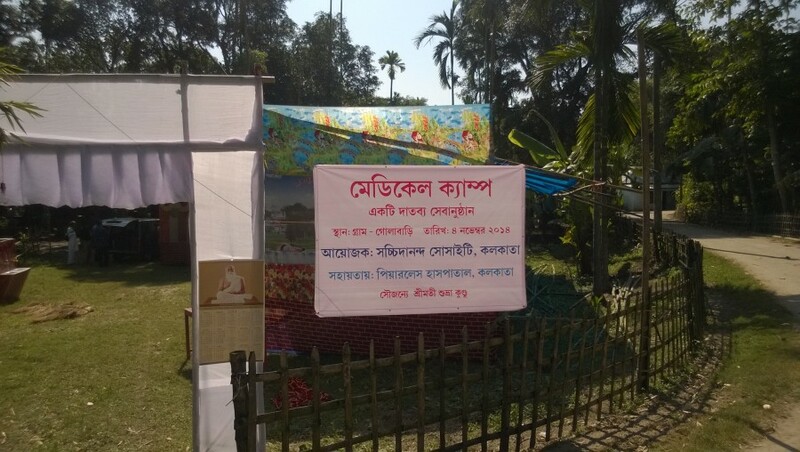 Program at Golabari Village, Jalpaiguri (North Bengal) To commemorate the occasion of the Divine Master’s first travel to Golabari in North Bengal a service medical camp was organized there in the farm house Mrs Subhra Kundu on November 4, 2014. About 90 patients of the locality received medical care by expert medical practitioners from Kolkata who travelled to Golabari for the purpose. 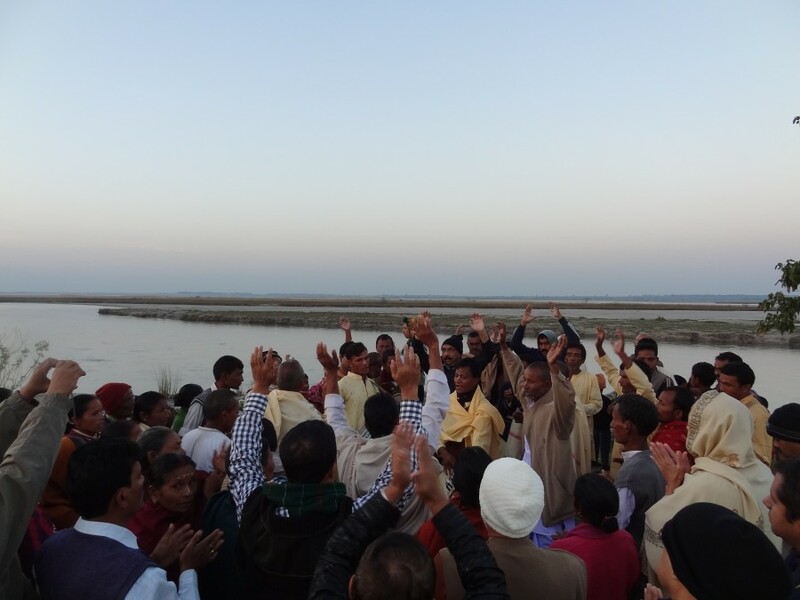 Also on November 6, 2014, a 12 hour Naam Sankirtan was held commencing from early dawn. A procession led by the kirtanias went from the Golabari village to the bank of Teesta River early in the morning. 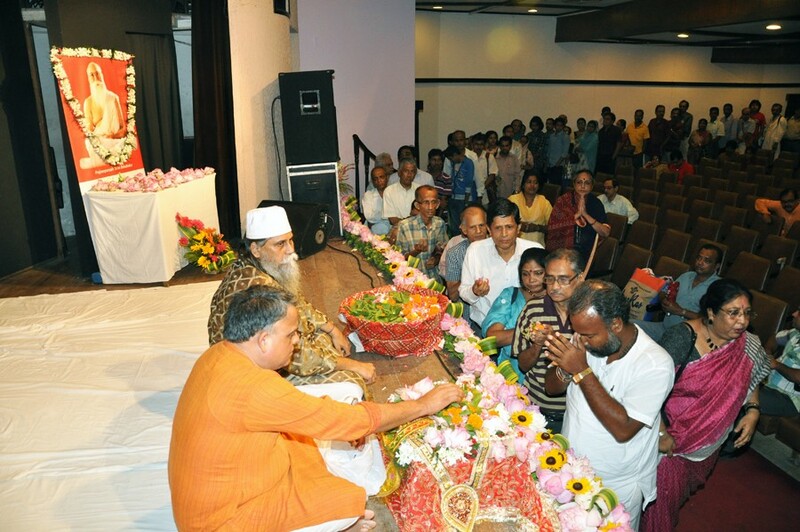 The day long function was attended not only by the local devotees but also by several visitors from Siliguri, Kolkata, Delhi, Bangalore and Mumbai. 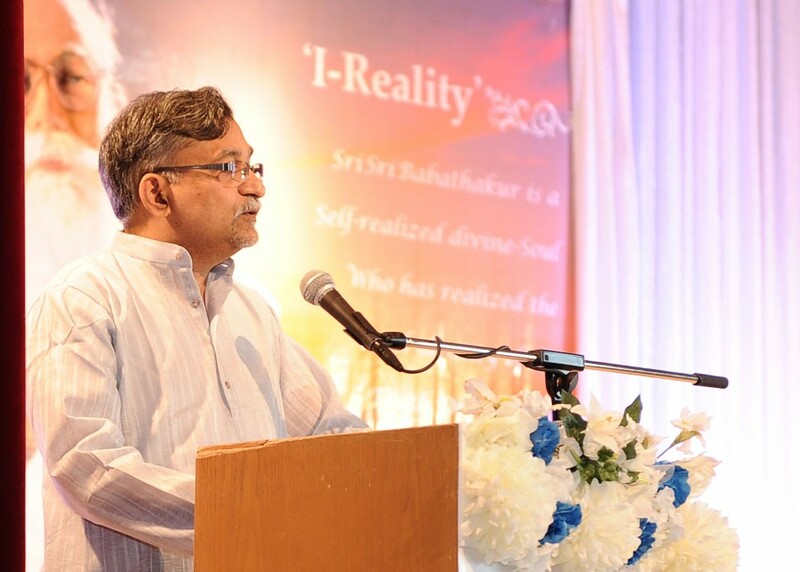 Satsang at Vancouver, Canada With the initiative of the members of the Canada chapter of the Saccidananda Society a Satsang was held in St. Archangal Michael Orthodox Serbian Church Hall at Vancouver City of Canada on Saturday September 13, 2014 at 6 pm. 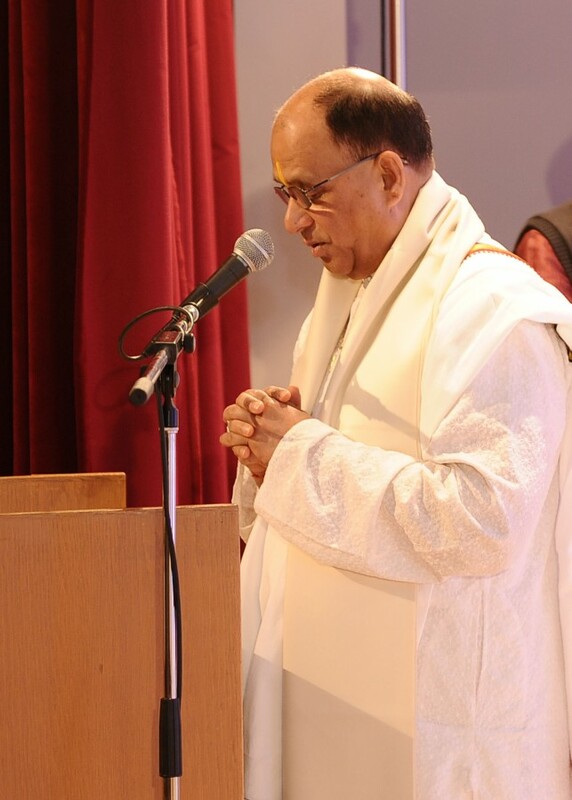 The occasion was graced by the presence of the Acharya of the local Laxshmi Narayan Mandir, the Deputy Consul General of India in Canada and many other local people. 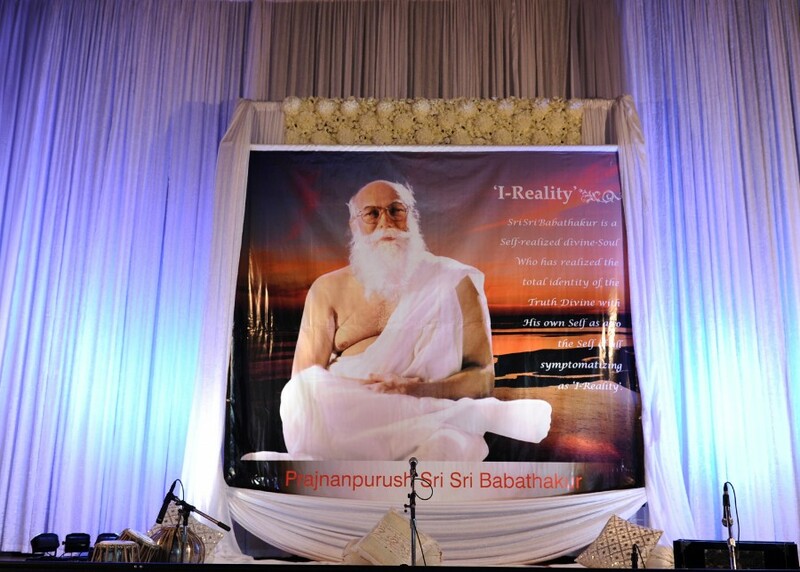 Besides speeches on Sri Sri Babathakur and His teachings, there was a video show of the discourses of the Master. 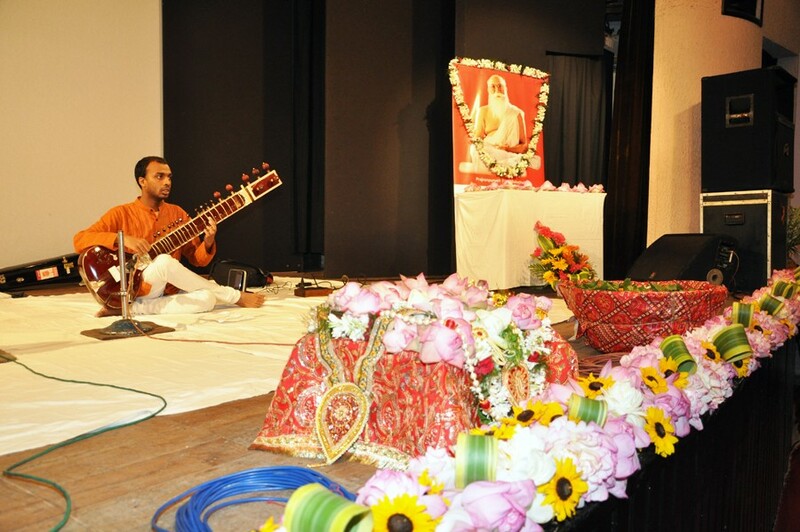 Sri Kedar Narayan Bodas rendered the revealed songs of the Master. 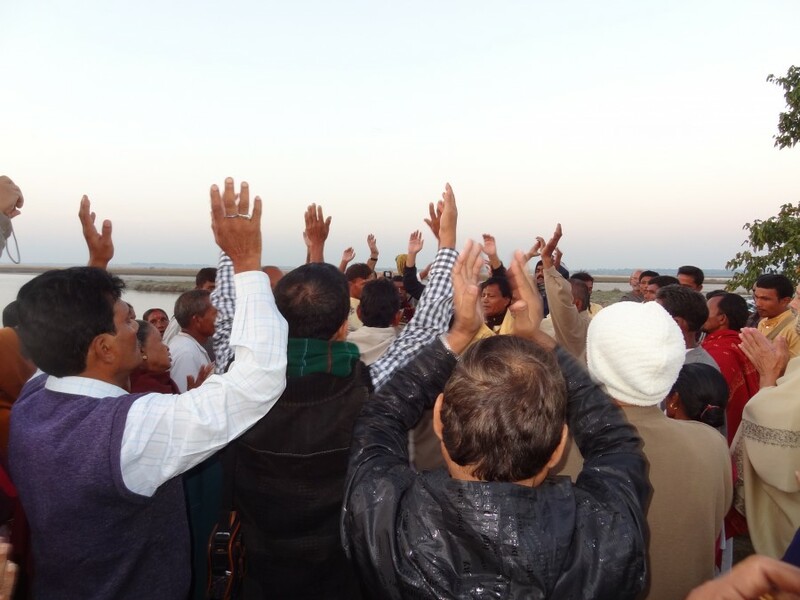 The program ended with a session of questions and answers.